Now we try to get The Banner Saga 2 on the Vita! Stoic’s beautiful The Banner Saga was originally announced to be coming to the PS Vita, in addition to the PS4 and Xbox One; but after almost a year of delays and radio silence, it turned out that Stoic couldn’t get it to work. They had tried to get The Banner Saga on Sony’s handheld, but it wasn’t working out, and they’d ditched plans to release it on the Vita completely, opting to just launch on PS4 and Xbox One instead. It was a crying shame, since this is a game that would be right at home on the Vita, thanks to its unique style which would lend itself to a pick up and play style, and evidently, others felt the same way too. There was an outcry, and ultimately, the noise appears to have gotten so loud that Stoic have relented- they will be getting Sony to help them with the PS Vita port of The Banner Saga. More news on the Vita port of the game is expected in 2016. 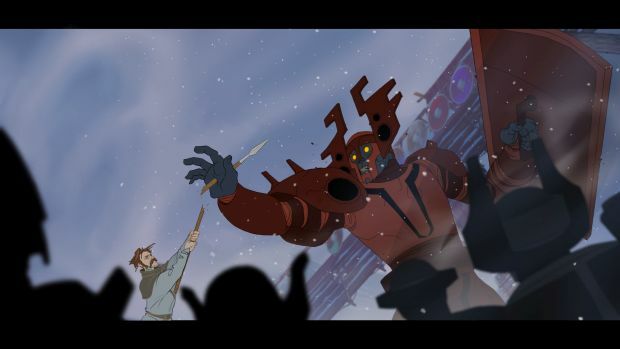 Right now, Stoic is working on The Banner Saga 2. If you want to play Banner Saga now, and are willing to not play it on Vita, it is available on PC, Mac, iOS, and Android platforms right now, with the PS4 and Xbox One release coming next month.